Blended Scotch whisky, Black Bottle, has made a bold appointment for its newly created position of Global Ambassador with the highly respected and well-renowned Scottish bar expert Mal Spence taking up the reins. The Burn Stewart-owned whisky is on an ambitious roll-out plan to ensure it becomes the blended Scotch whisky of choice for the world’s best bartenders. With more than 15 years experience tending, managing and building up the reputation of some of Scotland’s best bars, Mal brings with him a wealth of knowledge and inspiration that will help the brand achieve its aims. Mal has a close connection with Black Bottle, having created the whisky’s key simple serves and working with bartenders around the world to develop more complex cocktails. During his career, Mal’s expertise and influence has been recognised with a number of awards and accolades – he is the only Scottish bartender ever to make the Havana Club Grand Prix World Final; a former SLTN Mixologist of The Year two years running; winner of Maxxium’s Liquid War competition; and industry bible Class Magazine bestowed the 2011 Best Bar Menu award for Mal’s work at the Blythswood Square Hotel in Glasgow. 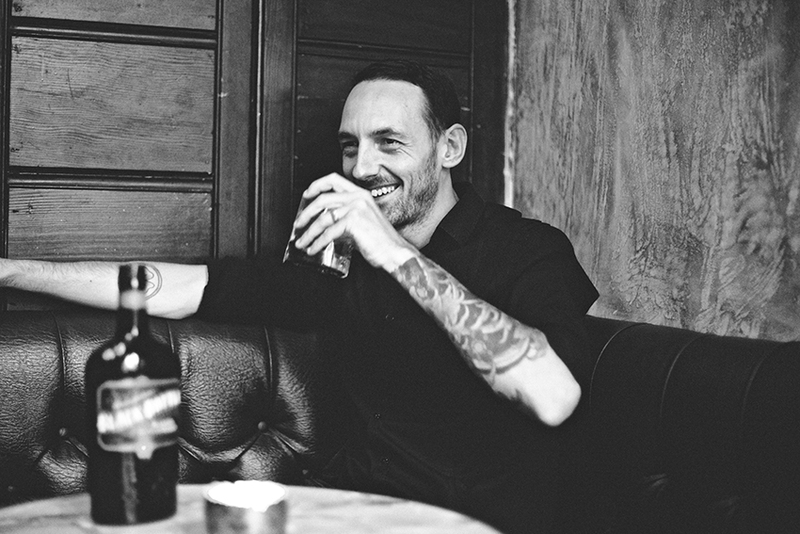 In addition to his role with Black Bottle, which will see him visiting key markets around the world, Mal will continue to direct operations at the much-feted Kelvingrove Café in Glasgow, winner of the Best Cocktail Bar at the 2013 Scottish Bartenders Network Awards, which he helped establish in 2013. Plans for taking Black Bottle to new audiences in its key markets around the world are well underway. The inspirational story of its creator, Gordon Graham, the striking new-look packaging first unveiled last year and the flexibility of its liquid in creating a vast array of serves, ensures Mal has a credible and quality product to present to key influencers in these markets. “Blended Scotch whisky has been unjustly forgotten by many bartenders in recent years and with its liquid profile and striking presentation, I’m confident we can encourage bartenders and drinks enthusiasts to reconsider the category and put Black Bottle into their speed rails,” added Mal. Having set the standard and re-energised the tradition of hotel bars with his award-winning work at Blythswood Square Hotel in Glasgow from 2009, Mal has become a leading figure of the Scottish bar industry. Mal will start his visits to key markets in September and report into Marco Di Ciacca, Black Bottle Global Marketing Manager.